There are two companies which stand out as copycat coders. They are James Farmer's WPMU and Corey Miller's iThemes. The original idea behind WPMU was not a bad one. Most plugins were coded for single site and therefore there was a huge need for expertise and plugins which would work on multisite networks. What appeared to happen is that James Farmer wanted to bring every single kind of plugin under his roof, from membership plugins to newsletter plugins to ecommerce to antispam to social plugins to support plugins to ad plugins (to name just a few areas). With over 250 plugins, you can imagine the quality of the plugins. Even worse than the original code is the support in most cases (the freelance plugin authors are run off their feet, didn't code the plugin well in the first place and have another dozen plugins to support). Apparently there are over 300,000 members (I'm not sure how many are paying and active, let's say 50K). Even with members paying between $100/year (the cheapest membership at 85% discount - if you don't sign up or renew, you'll eventually get this offer) and $500/year (about the most you can pay, although theoretically $600/year is possible), unlimited support on unlimited sites at those rates is simply not sustainable. I understand James Farmer well in this respect. It's why Foliovision charges for advanced support (we answer questions for our pro users free, but if we have to touch your code, it's extra) for our own FV Player Pro. What WPMUdev does which is unconscionable and why we would never recommend WPMUdev to a WordPress service provider is stick a big fat marketing ad in your client's dashboard. As we do use WPMUdev code sometimes (before they started spamming all our clients), we have written a plugin to stop their marketing materials. If you are stuck using WPMUdev code, I'll attach it to this post for you to download next week and use on your own client sites to suppress their dashboard. We'll add it to the WordPress repository soon. their own dev news (no better or worse than any other WP news source: I'd recommend WP Tavern instead). Some of the smaller niche plugins can be useful. It's a pity that WPMUdev are so full of themselves that they deface client sites. If you are not a large WP development company, I see little reason to invest even the $100/year (lowest rate) in a membership. At Foliovision's scale (we've built about a thousand sites and manage nearly 100), WPMUdev membership does (just) make sense for us as an extra resource. Our expectations are no longer very high. Corey Miller's iThemes business model is a little bit different. Instead of taking on the WPMU niche with blanket coverage, iThemes approach is to find the most successful WordPress niches and get there with a usable product and a whole lot of marketing. Of course the right answer is great code and great marketing. If one has to choose, I far prefer great coding with adequate or even weak marketing to those selling second rate code. Great coders with both free and pro plugins who rarely release substandard code include Pippin Williamson of Pippin's plugins (Easy Digital Downloads, Restrict Content Pro), Justin Tadlock (Theme Hybrid), Stefano Lissa (Satollo Essential WordPress Plugins, Newsletter Pro) WP Ninjas (Ninja Forms), Swiftype (WordPress search only) or BraveNewCode (even if WP Touch Pro is more or less obsolete at this point (time to update to a responsive design theme comrades!). This is just a short illustrative list. There are many other dedicated coders working on the WordPress platform on the freemium model who deserve our support. BackupBuddy --> Automatic WordPress Backup 2010 (iThemes claim BackupBuddy was the original WordPress backup plugin, but it's an open lie as Joast's post and the Brad Ulrich's comment proves). Exchange --> WooCommerce. WooCommerce extensions are so aggressively overpriced, in this case I can't blame iThemes for entering an non-competitive and large market (WP eCommerce is terrible and the other WordPress store alternatives are not up for a large scale fully customisable open source shipping store with multiple payment gateways). iThemes Security --> Sucuri (actually iThemes bought out a free plugin Better WP Security and made it pro and worse). Sucuri is far less intrusive than iThemes Security and Sucuri support is fabulous in case your site does get into trouble. Good luck with the clowns in iThemes support who are likely to know less about WordPress security than you do. Sync --> MainWP and ManageWP. Both work far better. ManageWP is a service and is much easier for the beginner to set up, while MainWP is a more affordable option for developers. InfiniteWP is a third good option. It appears iThemes haven't had an original idea in their lives. Rather foolishly, we've been customers for a long time (for their pro plugin bundle). I believe iThemes were the first to bring to the WordPress community self-destructing plugins. WordPress plugin authors soon learned that due to constant updates, plugin updates would be a lot of work and would require an ongoing revenue stream. License renewal became common practice for the wiser authors (rather than lifetime upgrades). Normal policy is for a plugin to just stop upgrading itself if the support license is not renewed. iThemes plugins act differently - even essential ones like backup. When your yearly license expires not only can you not install the plugin on new domains, it stops working completely on existing licensed sites. In additional, it posts extremely push notices into your dashboard and the top of your admin screen telling your client s/he is using unlicensed software (which for heaven's sake doesn't even work anymore). What's worse, BackupBuddy fails on larger sites (even medium sized sites) and sometimes fails invisibly so it's worse than no coverage. The year we rolled out BackupBuddy was a year to regret. Our clients are long term serious publishers with huge archives. BackupBuddy failed more often than it worked. iThemes workaround were risible. We retreated to server level backups. Most WordPress publishers don't have that option. What does work for backups and is one click install is Automattic's Vaultpress $5/month plan. Many of you know I don't care at all for Jetpack (or even overpriced Akismet) but standalone Vaultpress is a very good and very competitively priced service. Just make sure to choose the simple daily backup (you don't need hourly backup and if you do, you are probably pulling server level hourly backups already). If you don't want to send all your data to Automattic, BackWPup has your back for free (with competent paid support available), allowing you to choose your own backup destination. Here's another perspective on WordPress backup. Looking more closely, the more technical respondents are using Vaultpress or server level backups. There are several complaints about backup plugin (Vaultpress apart) reliability. Apparently after the BackupBuddy fiasco, we hadn't learned our lesson yet, as we fell for iThemes siren song marketing for Sync. We'd been managing our hundred odd WordPress sites via our own tools. With the never ending updates we were gradually struggling to keep up with site administration. I believe we'd looked at ManageWP but the yearly fees (ManageWP pushes you into a two year contract to get decent rates) were pretty stiff (over $2000 for two years). iThemes Sync was just $300 at half price with a year's license. Alas with Sync we were unable to reliably update plugins. Sync has a great uptime service. Except that it sends all emails on first failure on a site by site basis. As most of us have large groups of sites on single services, it just requires a single hiccup to end up with forty emails in your inbox. One of our main hosts reboots their routers everyday in the early morning. Less than a minute downtime and means that the routers don't fail when you need them. It also means forty senseless emails in your inbox everyday. they test the site again after one minute or two minutes before sending a notification. Intelligent would not be a good word to describe iThemes Sync. iThemes unable to give us a positive resolution of a single support ticket. Everything was impossible or too difficult (decent failure notices for instance). third party access to our client sites: some of our clients are not supposed to allow access to their sites by third parties. An out of country solution in Serbia was pushing the line a bit far. cost: to get reasonable rates ManageWP required two years payment up front (although they say you get all the unused part back if you stop using the service) which as a couple of thousand of dollars in our case. we didn't need the SEO features but required the white labelling features. Those require doubling! the cost of your subscription (bringing what for us were unneeded SEO features which do indeed cost ManageWP service fees). The total bill was less than $100 for all of this power. We have also avoided the bundle as we don't want all the extensions active on our server (it's hard to avoid activating them all). While MainWP was sluggish on Apache (lots of web applications are), MainWP has been very fast and easy to use as soon as we upgraded our backup server to paid Litespeed (not expensive for a VPS, about $350 - Litespeed support has never failed us either - a small price to pay for both performance and peace of mind). We'll be back to buy the MainWP backup extensions among others. So in addition to ethical concerns, there are performance and support reasons to avoid copycat code. If you want both good code and good support, I recommend you go to see a specialist, whether it's for backup, security or site management. Probably the company owner will be a developer him/herself or at the very least, deeply engaged in his/her specialty area. Particularly offensive about both WPMUdev and iThemes is how they feel that using their code gives their owners the right to hijack your client dashboards. Just on this basis, I would avoid using any of their products on a client website. The only place either of them show real innovation is new ways to hijack your client sites admin areas. I cannot recommend either of the copycat coders here WPMUdev (though they run a pretty good weblog) or iThemes. I hope some of the alternatives I've suggested help you build and maintain better websites faster. * While writing this post, I discovered Satollo has merged Comment Image and Comment Notifier into a single paid plugin called Comment Plus at just $9.95. We'll be trying this on our client sites for a more robust solution and not depending on a third party service (paid or not). Completely agree about WPMUDev – I find them to be a horrible company, I also purchased a membership and saw their obnoxious advertising banner, disgraceful in a premium product which you have paid for – I can understand it more in free versions, with upsells but even then there are better ways to do this. James Farmer also seems to have a chip on his shoulder and seems resentful to WordPress and Matt Mullenweg in general. There’s something where I agree with James Farmer: Something is rotten in the state of WordPress. I’m none too happy with Automattic and Matt Mullenweg either now – we are banned from sponsoring or participating in Wordcamp after three years helping to build to Wordcamp Slovakia (2013, 2014, 2015), as we have some non-GPL code. We have thirteen fully GPL plugins in WordPress.org and lots more GPL code in our Github repository: I’d say I’ve contributed hundreds of thousands of euros of work and money to Open Source. But because there is less than 5% of our code we do not license under GPL, we’ve been banned by the thought police. WordPress has become a kind of Mussolini type of dictatorship. Automattic’s excesses do not excuse the pirates like James Farmer, even if Farmer does have a pretty good sense of humour. Installing any WPMUdev plugin means you automatically get WPMUdev dashboard whether you want it or not. This means Farmer and his minions have automatic admin access to all your sites. Not cool at all. What gives these companies – whether Automattic or iThemes or WPMUdev – the idea they can be so intrusive? WordPress is supposed to be a standalone and secure open source project, not a Swiss cheese filled with security holes allowing dozens of unauthorised people access to your site. 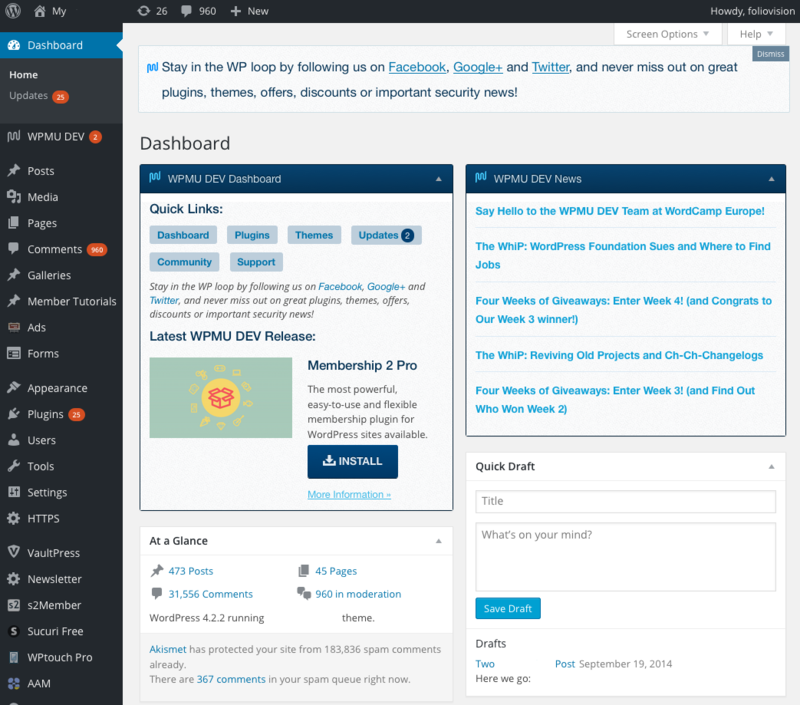 To be frank, neither WPMU DEV nor iThemes come hardcoded into WordPress installation. There are plenty of other options – if people mind it, all they need is to do is vote with their wallets. I don’t notice in their sales material that either WPMUdev or iThemes advertise that they will hijack your website and spam your clients. I hope this review sets the record straight and hits WPMUdev and iThemes right in the wallet, as you say. You have brought up some interesting points. Firstly, whether people agree with you or not, I think it’s good that there is someone out there who is willing to voice their opinion and not worry too much about the WordPress fanboys getting offended. If you search online, you will see many articles from me over the past ten years being critical about something in the WordPress community and at times I felt like I was the only one willing to do so. All I want is for WordPress to be fair to everyone, but when someone points out that something is not fair, everyone jumps to the defence of Automattic and WordPress.org; rather than examining the issue at hand. I have been accused of not supporting the community when I did so, despite the fact I have helped thousands upon thousands of people with WordPress. But I digress. I found this article via a Tweet from WPLift and Chris Lema. Chris said he agreed with you on WPMUDev and not iThemes, but I then checked his Twitter feed and saw him wearing iThemes’ t-shirts, so perhaps his view on the issue is skewed because of his association with them. My own opinion on this issue is that I hate plugins and themes that hijack my dashboard. I also hate minor plugins that force themselves onto my main menu. I spoke to Tim from WPMUDev about the dashboard issue and he noted that there is an option to disable it. He also said many people had raised the issue, but mentioned there are benefits to including it, such as ensuring security updates are processed etc. I do think the issue of notifying people about security issues is important, however if everyone did this the admin dashboard would be a mess. Plus, that is what the plugin update system is for. So I still feel that it is better for the dashboard to be clean and if a plugin offers dashboard widgets, they should be opt-in rather than opt-out. With regards to your involvement with WordCamp, can I ask why your code was not 100% GPL? I don’t agree necessarily agree with them shutting you out because of that issue, but I do support the idea of all WordPress codes being GPL. So if they have a policy of every sponsor being GPL compliant, they would not be able to work with you. That being said, they have no problem with working with a company such as GoDaddy. Granted, they got rid of their founder and CEO who was out shooting elephants, but he is still their largest shareholder. I’m not any kind of eco-warrior, but I don’t think Automattic or WordPress should be associated with a company who works with someone who goes out killing defenceless animals for fun. I have more issue with a company like that being a sponsor that a company that is not 100% GPL. What I don’t like is Automattic abusing their position. I spoke about this today on Twitter with Jeff from WPTavern. The fact is that only Automattic/Matt owned blogs and associates are linked in the WordPress news dashboard. The featured plugin list on WordPress.org gets huge amounts of traffic and most are Automattic products such as Akismet. And as you know, Akismet is a plugin that is still included with the default version of WordPress, despite the fact it pushes a pro version of the plugin (which of course means more money to Automattic). I am a big fan of Akismet, but there many other great anti-spam plugin solutions out there that could also be included in the default zip file or featured in their featured plugin list. So from the outside, it looks like they are simply abusing their position of power. Hi, love this post. I came across WPUmd via the recommended custom sidebars plug-ins section in WP and played around on their pro marketing page for a few mins, then moved on to search more tools and came across a comment on a Meerkat embed post which led me here. Thx for the great and honest info. I just wanted to let you know that #1 of the 3 suggested posts at the end of this article (that mentions how BackupBuddy failed you) was a 2011 post recommending BackupBuddy. Not a biggie at all, as we just read that you no longer believe in it, but why even take up such an awesome “read me next” slot for a bizarro world post recommending the tool that failed you. I know it’s an automated category thing, so perhaps add a simple disclaimer at the end of that 2011 post sending it back to this one or make it un-sugggestable since you don’t want to redo them anymore? Thx again for the good info. Thanks for your comment Zane. I’ve updated the Backup Buddy recommendation post with a strong caution. I’m sure your bro will improve. Brothers usually do. What a great post, I’ve worked with WordPress for a long time and though I have never (or will never, thanks to this post) purchased anything from iThemes, I have researched their products several times and have come close to buying BackupBuddy several times…but I just didn’t feel right when the time came. I had no idea that iThemes products are basically copied from another source and re-marketed like that. I will defend Matt Mullenwegs choice to keep all the code GPL, I think that is totally fair and does allow some coders to improve and enhance plugins, themes and even the WordPress source. I was astonished to learn that if you purchased an iThemes product and your license code expired that the plugin would cease to be functional. That is insane and to me seems like a way to “bully” an expired customer into renewing their relationship with iThemes. I would like to point out the fact that there are several companies that I have purchased a “Developer” license from, and initially these Developers licenses allowed for infinite amount of installs, and lifetime updates. Pretty much every one of these companies has changed their Developers license to a “yearly updates” model, therefore requiring a yearly renewal of said license if you wanted continued plugin updates, which as you can imagine costs money. I don’t think its fair that these companies changed over existing Developers license holders to this new yearly renewal fee, basically removing their access to lifetime update of the plugin. Not one of these companies offered any type of discount for a customer that had been a Developers license holder prior to these changes. To me, it made me feel like I wasn’t appreciated as a customer and that the company was only focused on revenue. I won’t name names, but I am sure Foliovision has experienced the same. Thanks for your thoughtful comment Chris and for sharing your real world experience. I’ll respond in three sections for clarity. James Farmer has a long history of just stealing GPL plugins. He got beat up quite a bit for it, notably when one of his coders (the guy became very “freelance” very fast when WPMU was under the ray gun) so Farmer has backed off out and out code theft (at least for the signature plugins). Corey Miller doesn’t steal code. He just looks for whatever is hot in the marketplace and has his relatively weak developers then build an alternate (and usually much worse) version with more features. At that point Miller markets the heck out of his copycat plugin and hopes to displace the original developer or at least steal 20 or 30 per cent of the market with his inferior product. Here is a sample result: ManageWP is a brilliant and almost perfect service which simplifies any WordPress developer/host’s life. The support is great. iThemes’ Sync copycat service is next to useless, sending endless failure notices on first check (false alarms) and failing to update plugins with no adequate notice given. Sync is worse than useless. Buy ManageWP (or if you have the technical chops and the time, maintain your own edition of MainWP and save lots of money but without the great support from ManageWP). What iThemes does which is hideous is disable your software. What WPMUdev does which is hideous is cover your clients’ dashboard with ads for their crappy copycat service. I must say Automattic and Matt Mullenweg are almost as bad about hijacking your WordPress install with promotional material. Mutual billboarding doesn’t excuse any of their behaviour. Perhaps if Mullenweg/Automattic were not such perfect hypocrites on promotionial material, they would have more success disciplining the marketplace. No one likes a hypocrite. Disabling one’s purchased software is the lowest of the low. iThemes are scum. On the other hand, I have to agree with the other developers that lifetime licenses including support is entirely unsustainable. Most WordPress developers were developers first and business people second so they put out products not realising the costs of support and infrastructure. They especially did not realise that Automattic by design has made WordPress a moving target: there’s no software which requires more maintenance than WordPress. It’s a disgusting track record but until someone else has stewardship of WordPress.org/Wordpress we’ll have to put up with the database and API’s being rewritten every year or even twice/year. If you want your WordPress products to continue to function over time, you better be paying your developers annually. What we do at Foliovision is offer a perpetual license but with annual renewal for support and maintenance. The current pricing is 1/3 of new for a annual renewal before expiry and 2/3 of new for annual renewal after expiry. We picked up the differentiated pricing before and after renewal support expiry from a Romanian company Caphyon. I think we will probably go to half price annual renewal with buy new requirement if your license does expire. It’s simpler. So if you are close to your expiry date for FV Player Pro, grab the 1/3 renewals while you can. There’s been quite a bit of talk around the internet lately about the wisdom of developer licenses. Foliovision are big purchasers of developer licenses (if technology goes stagnant or if we prefer other software at the end of the year we just don’t renew). We don’t offer a developer license (unlimited). I’ve considered even giving the software away and charging only for support. That’s the Magento model and it worked awfully well for them. If you want to read forums fine, but if you want to register and post, you have to become a member. If you want additional pro support (always available and pro support is important as many of those developer license plugins don’t offer anything like proper support – we’re the buyers who come with tough questions and hands on code suggestions), the support can be bought on a per incident basis. In the end, what we are running now with the free version and pro version and pro support (freemium) is not far off the Magento model so we are not planning to change. I’m just trying to expose you to different revenue models and how developers think about licenses. If we had a product which was really low maintenance and support and developer targeted, we’d consider developer licenses. Sliders and form plugins are really developer targeted products. Most products we buy (more than half) we keep licensing for many years and are happy to pay the 50% renewal of our developer license. I would suggest to other WordPress developers that they stop offering unlimited developer licenses and instead offer volume bundles. This is what WP Touch Pro does. I think we have a thirty site bundle. That more than covers what we do with mobile addons vs responsive design (we recommend built-in responsive these days but that’s another discussion). If we needed more WP Touch Pro licenses, we’d be in a position to pay for them (we’d be building more desktop/mobile sites). We do this as well. We offer a single license, a five pack and a twenty pack. That covers most people’s needs. If you really want to buy an add-on single license instead of upgrading your pack, you can from within your account. Clear retail and small wholesale pricing. Gigantic details negotiated separately as volume is not the only factor in pricing such large deals. Many large tomes have been written on pricing, so no answer can be definitive. An underlying tension is maximumizing revenue (the cutthroat capitalist approach: think Apple) vs dominating the market with low prices and ubiquity (the even more cutthroat capitalist approach: think Microsoft). But even Microsoft practices different models internally. Their consumer products (Windows OS falls in this category) vs their high end business software and services. One falls off one’s chair reading that price list. Any support is phenomenally expensive. I knew you would bring up the whole sustainable business model topic. I am totally fine with purchasing a premium plug-in that requires a yearly fee in order to receive the features that go along with the premium version of a plug-in. What upset me is that when companies just up and realized that their business model was flawed, it was ultimately people who had paid for developer licenses that got the short end of the stick. The way I see it is at first you offer a developer license that has lifetime updates and unlimited installs, this is usually what a newbie plug-in company might offer, well this company is basically enticing developers into utilizing a developers license and in the beginning the plug-in company is happy because every once in a while they are getting 2-5 times the amount of money in one sale as they would if an end-user purchased the 1 install, 1 year of updates plug-in. So here is where I got upset. Every one of these companies would release a blog article talking about how it’s not sustainable to continue this pay once in your life for our plug-in and you’re done…and by the way you developer license holders that had enough faith in our company (possibly very early on) to invest in the developers license, your license will also be converted to a yearly subscription model… And when it comes time to renew your license we have become so successful and popular we don’t care if you renew or not so we are not going to offer any type of “appreciation” discount or anything. For instance I believe they should have done 1 of 2 things for developers license holders. 1. Make it so the renewal fee would not go into effect until after 2 years. Or 2. Offer a coupon code to the developer license holders that gives a significant discount on their renewal. I definitely didn’t expect any of these companies to allow those license holders to keep their current deal of not renewing…but at the same time I feel that developers license holders were disrespected and totally overlooked when the new business model was being put in place, and the reason for that was because they were too busy looking at revenue forecast graphs and forgot that it is actual humans buying their plug-in. I absolutely agree with you about how many companies handled badly the change. WooThemes was particularly horrific: a huge part of their marketing was the one time membership and then they just blindsided everyone. The backlash was so bad, Woo had to back off and leave the lifetime licenses for grandfathered themes. Their next trick was to retire all the grandfathered themes. Sucker born every minute. No great surprise when Woo basically stole the code and the developers from PrestaShop. Even worse when Matt Mullenweg rewards Woo’s bad behaviour with a $20 million buyout. I digress. I believe they should have done 1 of 2 things for developers license holders. 1. Make it so the renewal fee would not go into effect until after 2 years. Or 2. Offer a coupon code to the developer license holders that gives a significant discount on their renewal. That’s exactly the right way to handle the transition. Give those people who bought under the old terms (early adopters) a significant benefit. With our own early buyers of FV Player, some have enjoyed almost three years of no yearly renewal charges. We only moved them to the subscription model when we upgraded an entire version (Flowplayer 6 core from Flowplayer 5: it was a paid upgrade for our platform license as well). When I think about licensing, I try to think about how I’d like to be treated in the first place. Another subtle difference in the way we introduced upgrades with FV Player: we warned everyone that it would be a paid upgrade in the back end before they could upgrade with an option to stay with their current version in perpetuity. A software practice I personally loathe is being encouraged to upgrade and only then slapped with a price tag. I use a lot of software and don’t have time to upgrade and then manually downgrade. I know that avoiding the shiny upgrade with a forced payment post-upgrade has cost Foliovision a lot of money in the short term. I hope that in the long term, people will appreciate given a choice and not being pushed into a paid upgrade without warning. Developers should carefully consider if they really want to offer unlimited developer packs vs large packs (20 to 50 I would suggest as the largest developer size). Like questioning updates or failed plugins that are being reworked (over 2 full years) leaving customers hanging or with totally frustrated clients. The dashboard Nag cannot be removed via their options *unless this is an extremely new feature – to remove sales hype from clients dashboards. Banned – means no access to updates, Sales screens everywhere on every dashboard. They claim GPL so you can do what you like. which is to make them usable – a total rebuild.. I do believe there is now a significant backlash where users are seeking actual ways to deter such predatory practices. Based in Australia – transactions in US – you cannot touch me or fight me. Anyway – they used to be pretty much the only players in the field but now there are over 1000 Multisite plugins./themes. You only have to check their endless support site to see they do not use any of their “developed” plugins or in fact their own themes. We are really disappointed in the aggressive dashboard situation with WPMUdev as well. It’s really, really rude. As a general rule, we won’t introduce WPMUdev technology to any of our sites (we are stuck working with WPMUdev plugins where the client already has some of it installed). One tip: if the license in your name or your company name, you can make the WPMUdev dashboard crap only show up to you and not your clients (that’s what it says on the box but I haven’t thoroughly tested it so WPMUdev based on past behaviour may break some of their own rules). At this point, as WPMUdev is claiming GPL, some enterprising folks may want to take some of WPMUdev’s almost working simple plugins and create good forks and put them in the WordPress repository. 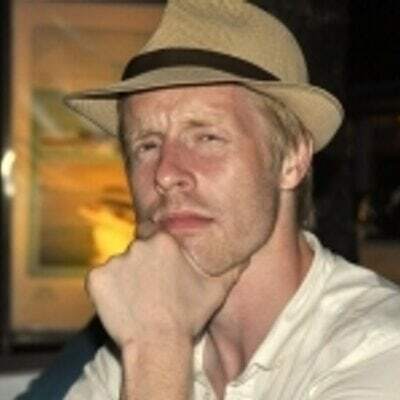 Matt Mullenweg seems to condone such behaviour and if anyone deserves forking for having too many and too poorly supported plugins it’s WPMUdev. I have to say I typed in to Google ‘Are iThemes overpriced’ and came to this conversation, and boy are my happy I read this. Like others I have come close to buying sitting in front of my computer just about to click Complete, but something just does not sit right with me. I was going to buy BackupBuddy then saw another plugin on CodeCanyon which does the exact same thing for a lot less money. iThemes want $700 for there freelance package which pretty much is there basic package and almost $1000 for there top package. Who ever parts with there money for what they get and reading this, not much ill be happy searching CodeCanyon for my themes and plugins. Overpriced, and through what I’ve read not the nice of people. I’m glad we could help you. CodeCanyon is also full of crap code. I’d recommend you use one of the free plugins for backup (WPlift comes to mind) or even better that you use the ManageWP service to manage your websites (ManageWP comes with backup). It’s what we are using these days. I owe a long review of ManageWP to myself. What’s particularly great about ManageWP (besides the very useful update, backup and management) is you get nearly live support with any of your WordPress issues. There are so many clowns and scoundrels hawking half baked products in the WordPress marketplace that I’m slowly ashamed to work with WordPress. When WP was all free, half-finished work was acceptable but commercial products should be held to a higher standard. Is the WPMU DEV dashboard agressive? You mean the WPMU DEV dashboard alert, which is removed when you install their free dashboard plugin. At least WPMU DEV is asking for permission. Hundreds of WordPress plugins do worse, automatically adding a branded dashboard element of some sorts to your site’s install. As you say, if this is considered evil then Automattic is the first to blame, having set the original precedent. Frankly Alec, I don’t see why this is considered an issue. The current version of their dashboard shows to admin only, in any case. Clients are usually not granted an admin role on their own sites, for good reasons. And you have to install the dashboard plugin for it to show. As an admin, whether you need their dashboard or not is up to you. My experience as a WPMU DEV client has not been stellar, to say the least, but I would not blame them for that dashboard story. Chris Lema loves Sync, for a reason. Nothing wrong with that. He gives ithemes’s Exchange the highest score for membership plugins : chrislema.com/ithemes-exchange-membership-review/. His reviews are never 100% impartial. Nobody is. Nothing wrong with that either. Dashboard clutter and commercial attacks on the integrity of the WordPress experience are out of control. If you are an American perhaps you are used to 23 minutes of commercials per hours and your highways lined with billboards. As a European, I’m not. WordPress is my workspace and plugin authors have no business attacking my and our clients’ workspace and workflow. Vote with my money? Most the time I am. At Foliovision, we work to empower our clients. That means the senior client at least will have admin privileges (and training) though we do urge them to give editors Editor roles and authors Author roles unless there is a good reason otherwise. Hence working around WPMU’s advertising and varying ways to sneak into the dashboard, news feeds and settings screens is a constant game of whack-a-mole. James Farmer has always been a bad actor so expecting improvement here would be naive. Avoid and seek alternatives is my recommendation. Thanks for the additional details about Chris Lema’s association with iThemes. They raise additional concerns about Chris’s credibility in reviews. I was surprised by the iThemes Exchange rating. I’m not any more. It’s tough to be both player and referee for anyone. We’ll need more independent reviews of membership solutions. We’ve had a lot of success with Pippin’s Restrict Content Pro which has clear easily customisable code and reasonable support. At this point both S2 and WooCommerce are catastrophic for memberships (first is unreliable with recent WordPress versions, second is way too top heavy to get even basic functionality running). Those are the ones we’ve tested first hand. Well I am a European too. I understand your point of view. However, when one chooses to use WPMU DEV products, he knows he will have to deal with that. And that there are simple solutions to get rig of such nagging elements. It certainly is intrusive marketing, though, I agree. Back to our heroes and villains. James “Bad Boy” Farmers deserves his reputation as a rude guy but I believe WPMU DEV’s business model is good. The thing is they were early on the market. 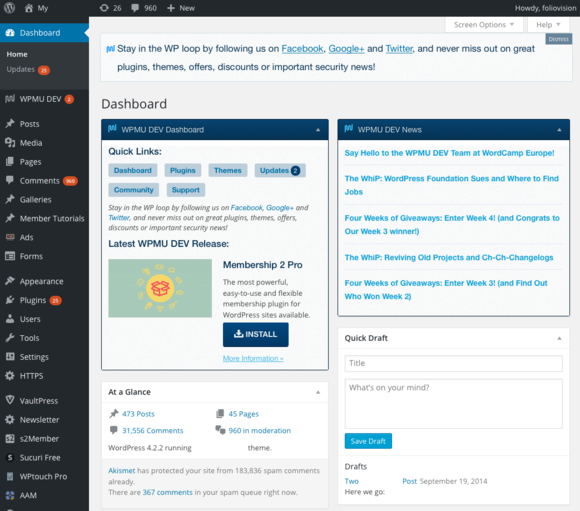 Back then almost everyone in the WP community balked at the idea of paying for WordPress plugins. Sanctified bloggers were still leading the pack, obviously ignorant of the essence of free software and open source. Free software never meant free beer, to quote Richard Stallman. Still James Farmer started a trend. 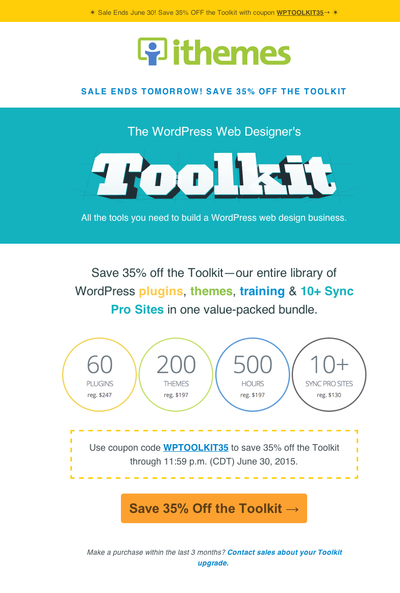 Now commercial WP plugins and themes are everywhere. Managed services abound. It was inevitable. And it is great. Back to Chris Lema : I believe he is a really good business guy, doing his job better than most. For that reason, you just can’t expect him to be 100% sincere. But I always read his blog : he is articulate and shrewd. You will like this example : he so much dislikes WPMU DEV that he wrote an “apples and oranges” comparative review on WPMU DEV’s page builder project, upFront and another such solution called Layers. Layers is done by Obox, Adii Pienaar of WooCommerce fame invested in Obox, Chris & Adii are friends. You guessed it : The chimp beats the gorilla. Layers wins in the end. UpFront is brushed aside like a reality TV looser (you can almost hear the boos). To the extent of using negative semantics tricks when a compliment is deserved : “I find it difficult to believe there is a particular layout that can’t be created with Upfront.” Admire the well crafted sentence. To his credit Chris often admitted he had a bias against WPMU DEV. I’m still fairly sure the aggressive and in your face attacks on publisher’s dashboards is a bad idea. I try to avoid ever using WPMU products on any client sites as a consequence and pay very reluctantly for a heavily discounted membership. It could be otherwise. I could have respect for the company and appreciate their products. Back in the day we were sharing code to get simple projects done and small sites up. Now we are working on large commercial websites. Of course I don’t want to optimise Microsoft Seattle’s WordPress server for free. This really happened. The very charming mid-level director told me that budgets had been cut for the next six months and I could be paid in the new year (this was in June) if I was patient. The next day I read that Microsoft had just managed to declare a $4 billion dividend to their shareholders. I insisted on immediate payment and hence Foliovision lost the Microsoft contract. But there was no way we were going to work for Steve Ballmer or Bill Gates for free after the dozens of small (countless) and large (Netscape) software companies they had pillaged. The best treatment of free is Aaron Wall’s essay on freetards. Thanks for sharing some of the behind the scenes between Obox, Adii Pienaar and Chris Lema. WooThemes were awful to work with past the first couple of years as Woo added more and more cruft and junk and wizards making their themes hopelessly top-heavy. WooCommerce was stolen code. I’m disgusted that Automattic.Matt Mullenweg rewarded Woo and Adii Pienaar for hijacking Jigoswatt and stealing both Jigoshop and Jigowatt’s development team. To my mind this is more or less the equivalent the receiving of stolen goods. And now Matt Mullenweg won’t let me sponsor or speak at Wordcamp Slovakia anymore (would be Foliovision’s fourth year) as I won’t GPL the paid part of our pro plugin. That clings surprisingly too close to extortion to me for my tastes. The GPL and WordPress are on very shaky ground these days. I can see why you like helping small grateful customers. I may sound detached as I have no axe to grind but I do appreciate and share your sense of ethics. In another life I once was in charge of post M&A operations. It basically came down to getting rid of half the “redundant” workforce (170 employees) of the merger’s victim while appropriating their work. Corporate phagocytosis is of course perfectly legal. The better and faster the hangman, the greater the bonus. I did it right but ended up quitting as the group I worked for was about to acquire three more companies. “Ethics are for PR”, they used to say. As far as ethics are concerned, GPL and WordPress are indeed on a shaky ground. You may start a SaaS business using WordPress with Automattic’s blessing without having to share your source code. Ask for wordpress.com’s source code of their specific WordPress distribution and see what happens. The SaaS model creates a de facto GPL exception. You can say Automattic’s business is based on such a loophole. On the other hand, try and mix GPL code with non GPL code in a standard WordPress software package and you’re under fire. Let’s say you are developping a plugin and want to integrate this great RTE [https://imperavi.com/redactor/] instead of tinymce. It is technically possible but the resulting plugin won’t be 100% GPL. Does it make you a traitor to the cause of GPL? Legal grounds for GPL compliance & plugins are shaky [https://www.law.washington.edu/lta/swp/law/derivative.html ] but who’s going to challenge Matt in court? After 12 years of full-time web dev and over 400 websites done by myself with other CMS than WP and custom code (doing the same thing again and again), I’m planning to create a multisites WP platform (I have dedicated SSD servers with a very good server admin) to make things easier and scale a little bit with small monthly fee (20$/month for good hosting with backups + domain name + technical/SEO support). When I read your opinions – and you seem to be more advanced than me on the web in general – WPMU is not as good as it seems to be ! I’d like to have an ecosystem of WP plugins to get a centralized support with this multisites platform. I tryed YITH, their templates+their plugins, and I’m not satisfied at all with this (tons of bugs, their work is never finished or fully working). Which solution would you recommend ? Team is : 1 server admin, 1 busines manager/former web dev (me), 3 sales/print designers (they are designer for print, they can do Web using Visual Composer and learn WP backoffice, but no code). I always do some custom CSS when the template doesnt allow what I want to do or what the customer asks, but no PHP – I cannot maintain PHP my own WP custom plugins + manage everything else. I also discovered that doing PHP myself is useless FOR MY NEEDS as everything is already available in WP ecosystem (plugins & templates & WP core). Basically I used to spend all days long to do exactly what I can do with Visual Composer in 20 minutes … Now that I use WP, most of my time is used for install, config, updates, that’s why I’m looking for multisites management. Idea is to find an ultimate customizable WP template to create all my small/standard websites with. This template needs to be done by a substainable team, with frequent updates. I’d prefer to pay for it than to use free plugins/templates as I was disappointed and leftover by free stuffs. My aim is 100-200 websites in 2-3 years, as I have already 100 and get them only one by one. Existing WP plugins are already all what our customers need, if I have a special request I will do it out of the multiWP platform. Which solution would you recommend for this ? PS : I dont understand why you talk about WPMU advertisements in backoffice : when we buy their monthly membership, arent we supposed to have unlimited access to all their products ? This is a GREAT post. And a great conversation to follow, something that I recently learned WPMU does not allow on their internal support channel. If you don’t like something, get out! 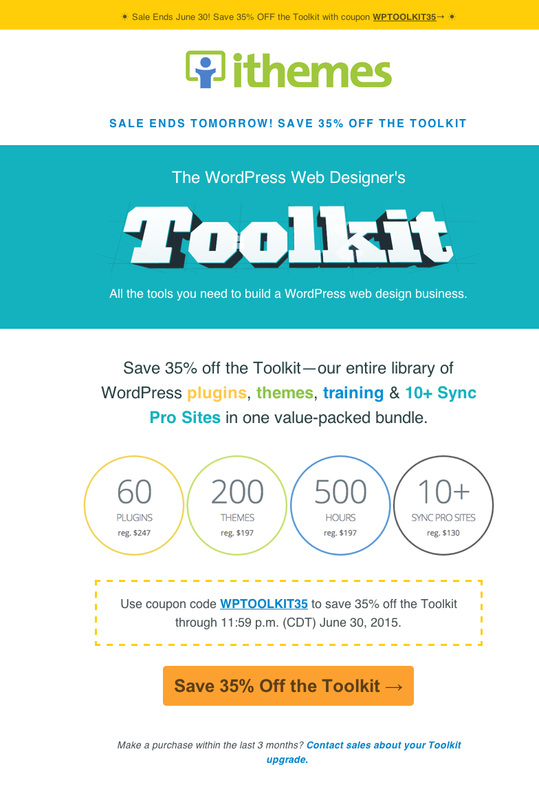 You can get WPMUdev for $148/year if you get on their mailing lists as an unpaid subscriber. I don’t recommend using Visual Composer as themes made with page builders suffer performance, SEO and maintenance issues. Better to start with a range of well made themes like the Studiopress pro package. That’s what we do. WPMUdev ads are in the admin interface in every site running even a single WPMUdev plugin. It’s a nightmare in front of the clients. Oh boy, wish I had read this BEFORE “renewing” my WPMUDEV subscription tonight. When I saw all my client’s site plugins listed on my dashboard on WPMUDEV, I was like WTH?? Their dashboard presence was immediately a concern. I’m just desperate to find solutions. I just want a plugin to sell online advertising, that will use Paypal as a gateway (including an option for recurring payments). And it has to look clean and be responsive. Well, I renewed to find a plugin in there that would do this. I’m directed to Marketpress. First setting it up: oh, I don’t know if I can sell anything but physical or downloadable products. Then the support chat. Not impressed with the responses of 12 lines that take 1 second to type! (I know: copy/paste, just being facetious a bit), yet didn’t address my question, more like “keywords” in my questions. I posted a question on their forum, finally. Will continue researching on my own evidently. I appreciated the kudos and nods to “more reliable” devs and products (love Genesis). Keeping it real helps everybody! Thanks for the report Andre. Like you, we’ve figured out that WPMUDEV and client sites just should never mix. If a client comes with WPMUDEV technology the best solution is to find alternative technology and cut out the cancer right away. We’ve never found any of their software to be better than bottom tier in any category, so replacing it with something better is only a modest challenge. Strangely Matt Mullenweg who is pulling WordPress into its grave in a mad quest for newbie/amateur marketshare has made peace with James Farmer (who’s been copying and stealing software for over a decade now). Unlike James, Matt has only recently started dealing in shoplifted open-source software (WooCommerce, originally JiggoShop). WPMU dev had huge improvements lately, any updates ? They offer a hub with similar features as ManageWP : updates, security, scheduled reports, etc. There’s no way I’d like to get into WPMU Dev default pricing at $500/year. The quality of the software is not high enough (there’s no shortage of software there). I’d prefer to invest that money in best of breed software with one time license fees (or even occasional upgrades, just not full price every year, as that’s effectively not a purchase license but a subscription). I passed on the recent Black Friday free offer WPMU Dev as I couldn’t be bothered to fight them over the unwanted credit card fight after the two month free trial nor did I want to wrestle with disappointing software.. I’d love to hear from recent users of WPMU Dev top tools in case I’m wrong.